Ukrainians and Americans are two peoples very distant from each other should one look at the world map, however they are rather close mentally and get along perfectly well. According to sociologists and researchers, the two peoples obviously have at least two national features in common: strive for liberty and desire to be the master of own life. History of their relations began as far back as in 1890s when poor Ukrainian countrymen oppressed with semi-slave status in Austrian and Russian Empires headed to distant and vast America in search of better destiny. Since then there were at least two more waves of migration in 20th century that resulted in almost a million and a half Americans having Ukrainian origins; and the expatriate community itself thank to their work to the benefit of the country and non-conflict behavior is considered one of the most respected ones. Ukrainian migrants found residence over entire territory of the country by settling down in both large cities and remote nooks where they developed agriculture. Nevertheless, even under such dispersion people tried to find ones of their kind, therefore gradually and quite naturally some sort of centre of the community emerged, its capital. 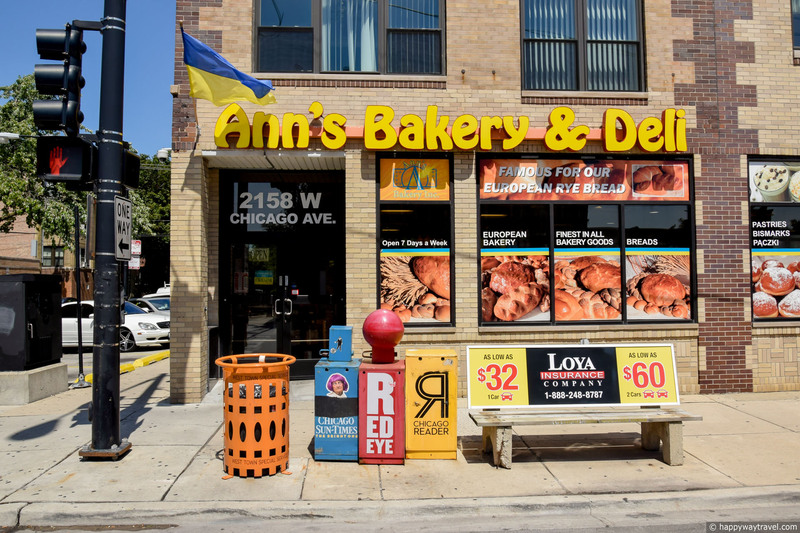 Ukrainian Village spread in western part of Chicago in several minutes’ drive from the city centre. Nowadays it is one of the most distinctive and popular places in entire Illinois. Regardless of the fact that, say, in New York there are three times as many Ukrainians, it is local village that makes for the world’s only Ukrainian neighborhood. Over a hundred years ago there used to be a true village where migrants from entire Easter Europe lived. Oftentimes Mexican bands tried to take over these territories and win own right to life in the USA however the Slavs united to fight back. Their exemplary life and respect towards local laws merited them help from state authorities that ended that fracas and brought things to order. As soon as in 20th century Poles, Czechs and Slovaks mainly moved to either New York or the very centre of Chicago leaving western district to Ukrainians and their number was growing gradually. People were running away from communist tyranny in times of USSR and from post-soviet economic breakdown of 1990s. Local community was helping fellow countrymen integrate into American reality hammer and tongs, and native language and culture that surrounded newcomers most certainly helped them feel less stressed. Nowadays Ukrainian Village isn’t much different from other districts of Chicago – it is just as neat, nice and low-rise as other districts, except perhaps for number of blue-and-yellow flags and signs in рідна мова (Ukrainian for ‘native language’) making you occasionally think that you are in Lviv or Kyiv though, as local like to joke, there is no way one can come across that many flags in the streets in their Homeland. This part of Chicago cannot be compared to post-soviet prototype in New York – Brighton Beach – where echo of crisis of the past can still be felt, and depressive environment testifies to that. Meanwhile Ukrainian village is a completely peaceful, even hipster spot in a way, a very popular one among Chicagoans. They adore coming there for lunch to consume borsch, varenyky and halushky in abundance, enjoy cozy atmosphere of family restaurants. Besides, alongside food and national color, there are things to look at and go for a walk to. The district is primarily famous for its culture erections partly built by first settlers – natives of Western Ukraine where religion has always had influence on society. 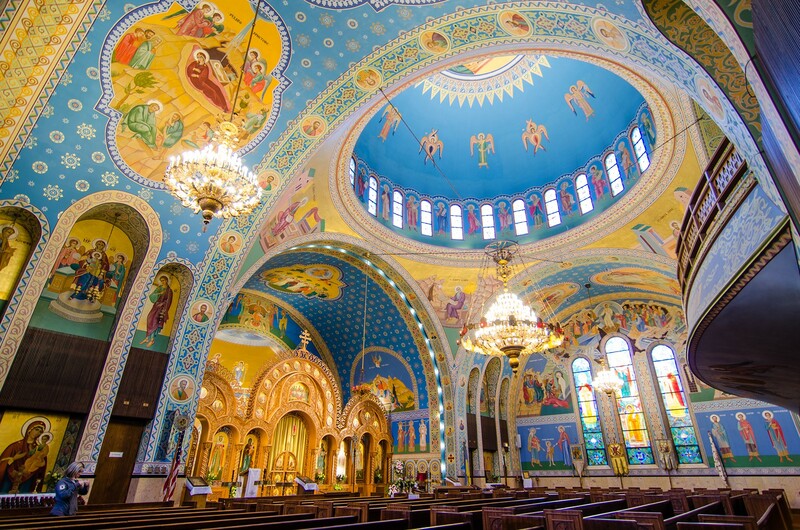 Holy Trinity Cathedral, St. Nicholas Church, Sts. Volodymyr and Olga Parish and St. Joseph Church are interesting from architectural point of view. Also, newer objects stand out – institute of Modern Art where all best Ukrainian painters are exhibited and National Museum – a place where one can learn everything about both the community and Ukraine itself. Despite the fact that the neighborhood is considered a quiet one, its parks and garden squares suit walks and open-air rest perfectly, there are also first-class bars and concert venues where Okean Elzy, VV and other popular Ukrainian bands and singers perform from time to time. More to that, neighboring Wicker Park is a center of cultural life for the entire state therefore Ukrainians with their festivals and balls play an important role in it. In recent years Americans themselves began moving to live there with increasing frequency. 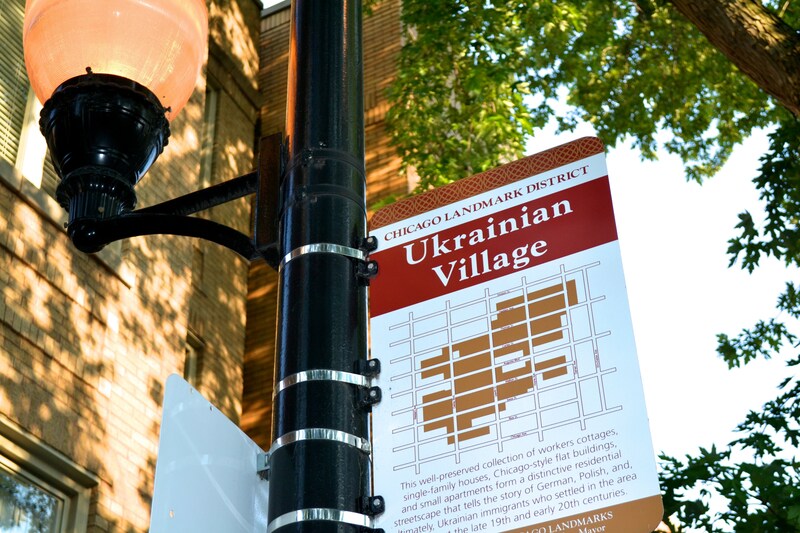 According to various researches, Ukrainian Village is considered one of the most popular districts in entire USA. That’s because Ukraine is a household word all over the world these day and people are truly hospitable. Due to the fact that in second and third waves of migration there were many representatives of intellectuals, people with Ukrainian origins gradually achieve success in American society to, among other things, obtain important public positions. It’s been a long time since Ukrainians stopped being taken as ordinary mere workers because they’ve given a lot to the country and they keep up the good work in a country so distant, on the one side, but so similar to their own, on the other.